Camellia is another winter-blooming shrub and certain cultivars will drape themselves with their most beautiful gems in the heart of winter. The bright color of its leaves marks a stark contrast to the sometimes jaded color of the winter sky. It is recommended to plant camellia preferably in fall to ease root development and allow for better blooming the following year. 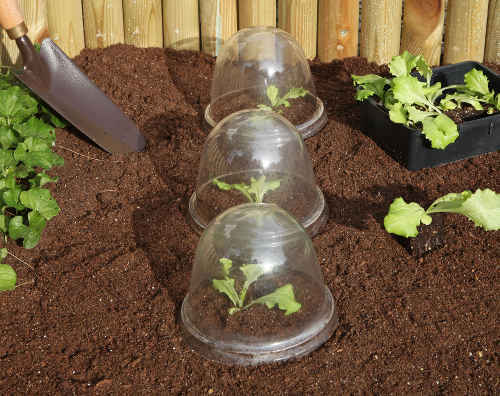 Planting in the spring of plants purchased in containers is perfectly possible but they will require regular watering at the beginning. 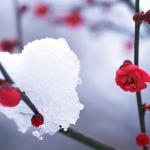 Species that bloom in fall or winter run no risk in being planted until spring. Favor a location that will protect it from the sun in summer, but, if possible, is sunny in winter. Add mulch in winter to protect roots. 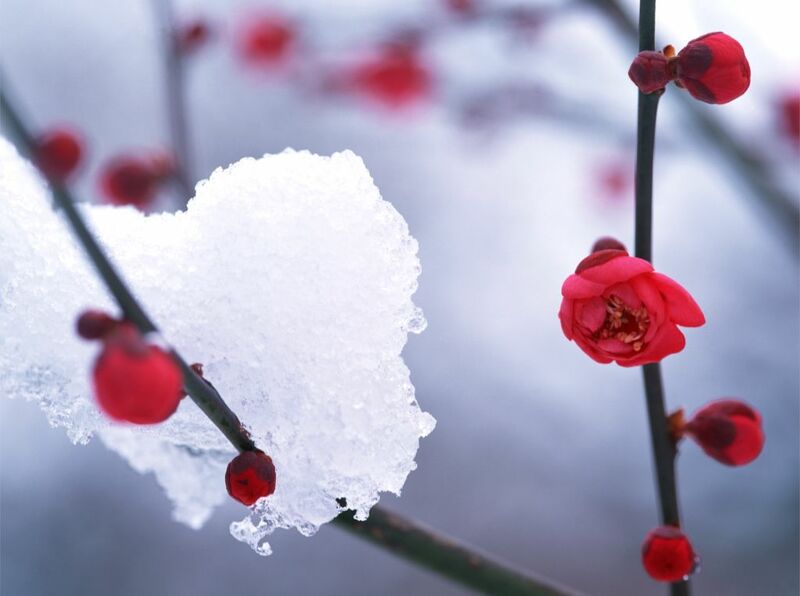 Do you wish to have flowers in winter on your deck, balcony or terrace? Camellia is then the ideal shrub for you because on the one hand, growing pots suits it well, and on the other, it blooms in winter. Fill the pot with a mix of heath and horticultural or planting soil mix. Its slow growth means that it doesn’t need any pruning and maintenance is reduced. 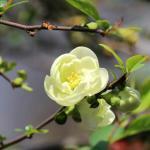 Certain camellias are part of a hedge, or are potted, and these must be pruned. Take note that since this camellia will bloom in winter, you must wait for the flowers to fall off before pruning your shrub. 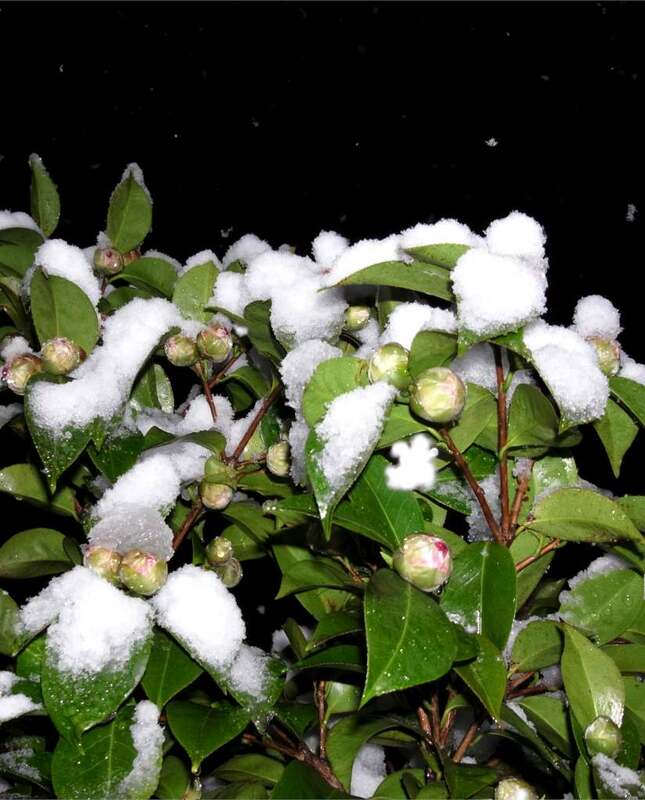 Since camellia loves rather cool soil, you’ll have to water in case of prolonged dry spells or heat waves. Lastly, thick pine bark mulch is the ideal solution to retain moisture in the ground in summer, protect it from from freezing in winter, and avoid weed growth. 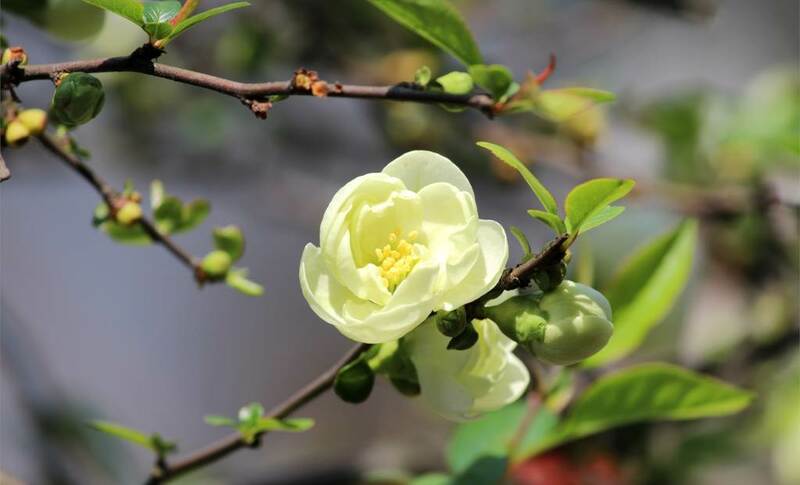 Don’t get mixed up when purchasing your camellia because the blooming seasons can spread over several months, but not all will bloom in winter. 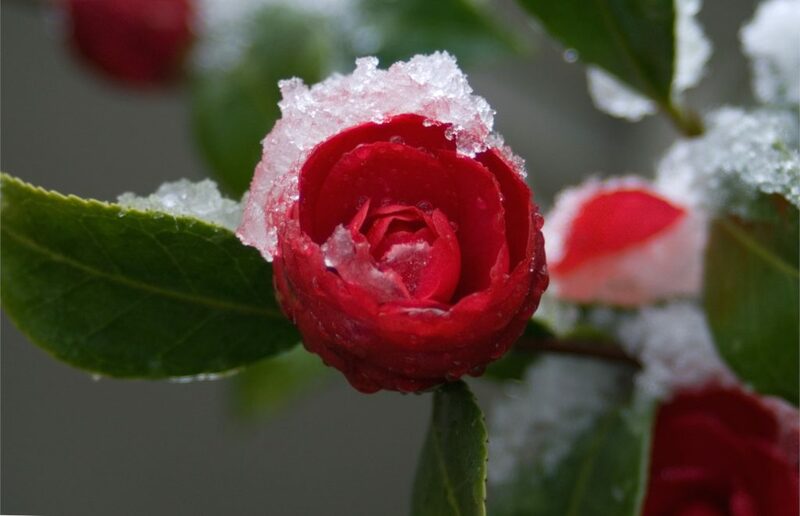 To choose your winter camellia well, the main varieties can be grouped depending on their blooming. Very early flowering – from September up to the first frost spells. 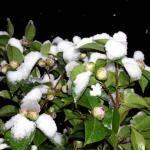 Early flowering – from November up to Christmas. Mid-season blooming – at the end of winter and depending on the area, February or March. Thus, if you want flowers around Christmas, you might plant Japanese Camellia ‘Gloire de Nantes’ or if slightly later, the ‘Duchesse de Caze’. Note that the ‘Gloire de Nantes’ can bloom for an uninterrupted 6 months. Mulching with maritime pine bark keeps weeds from growing, protects against the cold, and enriches the soil with natural nutrients. It is also excellent for heather plants because it improves soil acidity. Which vegetables to grow in winter?